A Labor Day (Pun Intended) Goodbye To The Baby Project : The Baby Project For the final post of The Baby Project, we asked our bloggers to tell us just how this project has affected them; whether they're glad they participated; and if they learned anything — about themselves, their partners, or from other parents. When we first started this project, we weren't quite sure whether it would work. We hoped it would, of course, but asking nine women to bare their souls to a national audience — on a topic that everyone has an opinion on — is not an easy thing to do. Would they be honest? Would they get nervous and back out? Would they be hurt by readers' comments and inevitable criticisms? For this, the final post of The Baby Project, we asked our bloggers to tell us just how this project has affected them; whether they're glad they participated; and if they learned anything — about themselves, their partners, or from other parents. When the blog began, Andrea, 31, wrote often, diligently and always with humor. She talked about her two sons, both adopted, and the overwhelming love she has for them. She wrote about her decade of infertility issues, and how she wept with joy when she found out that the first round of in-vitro had worked. And then, as she dealt with complications from her pregnancy, the frequency of her posts slowed. We didn't get her final thoughts on working on the project, so we compiled some highlights of her incredible story. 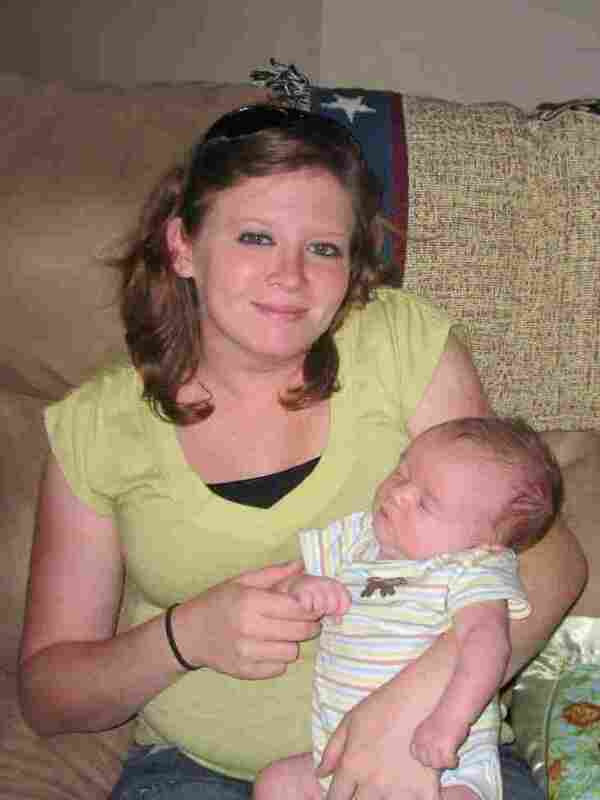 At 33 weeks, Andrea was admitted to the hospital after having contractions. The girls were weighing in at 5 pounds, 2 ounces and 5 pounds, 4 ounces. "Holy beefy babies, Batman!!" she wrote. But "even with all of this going on," she continued, "I'm not the least bit stressed or freaked out. The nurses are awesome, my boys are with their grandparents in Texas, Jeff is ever the doting husband, and we have free Wi-Fi in our hospital room. Score!" But soon, being in the hospital started to wear on her: "After four days," she said at the time, "you'd go a little nuts." Nearly two weeks went by until we heard from her again. She had been "down in the dumps," she said, but now, the clouds were starting to lift. She described looking at the cribs both of her boys had slept in until they graduated to big-boy beds — the cribs that were now ready for the girls: "As I stood there with my husband's arm around my waist, my lower back relaxed a little. My aching hips hurt a little less. The muscles that have a death-grip on my midsection seemed to ease up a little." Then, on Aug. 3, she sent an email: "Admitted about an hour ago and my doc should be here in about 15 minutes to talk about delivery and stuff. SO freaking excited!!!" But the delivery, we later found out, turned out to be traumatic and frightening, both for her and her husband. After delivering her first daughter, the second was transverse, so Andrea had to have an emergency C-section. As she later wrote: "After a few hours/minutes (who knows), a nurse asked Jeff back into a private room and said that if they didn't perform an emergency hysterectomy, they'd lose me. They also told him that in times like these, they suggest that the next of kin have some family at the hospital." 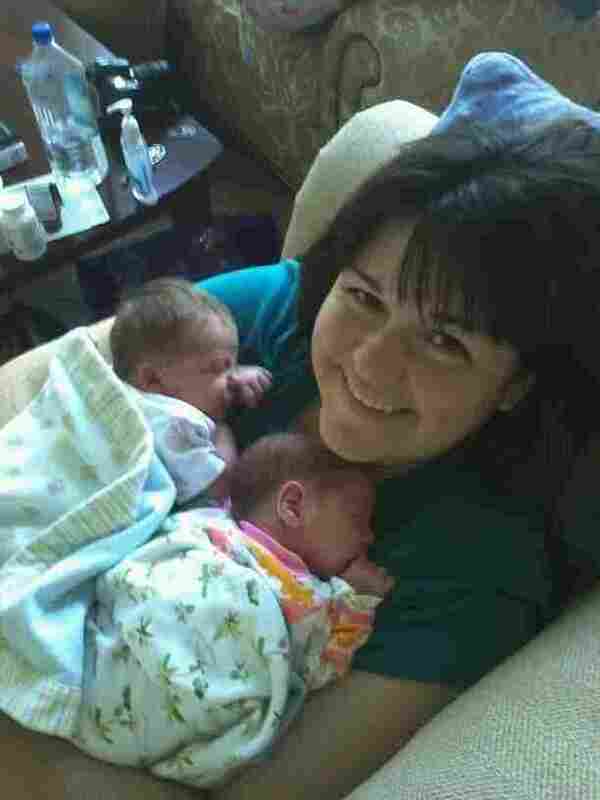 Andrea has since recovered, and her baby girls are healthy and strong. "I realized that I was one of the lucky ones, who not only had everything she wanted in life, but was fully aware of it." A few weeks before the blog launched, the youngest participant, 21-year-old Ashley Charter, said goodbye to her husband, Jesse, who was deployed to Iraq with the Army. The couple had suffered three miscarriages, so Ashley, from Lillington, N.C., was cautiously optimistic about the pregnancy. A full-time student, Ashley downplayed her struggles — from breast-feeding while coping with the effects of a childhood burn, to feeling like a single mom — by saying that other people were worse off than her. I loved doing the project. While I was still pregnant, it gave me something to focus on other than Jesse being gone. I was able to keep my mind off of that by writing my own posts and by reading posts from the other participants. I never commented on any of the other posts, but just for the record, I loved reading about all the other families, especially Jolivette and Charlyne. As it got later into the project, it started to get a bit difficult to find time to write. Jesse came home for R&R three days after Abel was born. And for the two weeks he was home, I was fighting for personal time with him, especially since his mother decided to come and stay at our house for a week. And then I went back to school three days after he left. One thing I did discover is that I really stink at talking about myself. I realized that neither me nor my life is very interesting, so it was a more difficult than I thought it would be to write about myself. Will Our Son Know His Soldier Daddy? From being diagnosed with pregnancy-induced hypertension (and later, pre-eclampsia) to being put on bed rest — all while chasing a toddler around, Christy's first couple of posts were a study in frustration. Through it all, the 32-year-old lawyer and mother of two in Charlotte, N.C., very much spoke to the struggles of the modern-day working mom. I was honored to be selected to take part in the Baby Project and be included among such a talented and diverse group of women. I enjoyed writing about my experiences, but sharing my innermost thoughts and feelings with a national audience was different than anything I have ever done before. I'd be excited to finish a post, but as soon as I hit send, I'd start to feel anxious knowing that my post was about to be published. I felt particularly vulnerable and exposed, especially when my post was the featured post on the Baby Project. I felt like hiding under a rock until the next post was published and mine was no longer front and center. At times, I found it difficult to read the comments, and I admit, I didn't always read them all. The positive comments were inspiring, and those with differing opinions really made me think — as did the other moms' posts, which made me question and think about a lot of my choices in pregnancy, childbirth and parenting. All in all, I think it was a great experience, and I will end it feeling confident about my choices, and positive about who I am as a mother and a person. My only regret about the project is that I did not have time to write more posts. I would often get an idea in my head for something I'd want to write about but just could not find the time to actually do it. The Baby Project inspired me to continue writing. I plan to revive a blog I started a few years ago for our long-distance family and friends to keep them updated while I was pregnant with James. Now I can write about our misadventures in parenting two kids. It's like free therapy! None of the Baby Project bloggers fit neatly into any one category, but if we were forced to put a label on them, Emily would be our wide-eyed optimist. The 27-year-old freelance Web designer approached everything, it seemed, with enthusiasm and sincerity. In her final post, she wrote about her hopes for the future: "I hope next summer finds Revie and me in a garden, teaching her about plants and soil, maybe even in our own garden that grows enough food to sustain us," she wrote. "I know it's a far cry from the life we live now, but ... I remind myself that anything can happen." Being a part of the Baby Project has been quite the experience. Just like childbirth, I still can't believe that I actually had a blog on NPR. Upon graduating from college, I ravenously applied for Minnesota Public Radio jobs, or any radio job that would take my voice, but alas I decided to go down a different career path (well, actually, radio decided it wasn't interested in me). I'm honored to have been able to share my story among the other (much more interesting) mothers, and humbled to have had the support, encouragement and interest from readers. I'm no less than surprised that anyone was actually interested in my story, which caused some notable anxiety in the beginning. Writing a story in which the main "climax" (labor and birth) was completely unpredictable was difficult, but I find myself wanting to write more about the unknown, because, in reality, everything in life is basically unknown until it happens. We can't really "plan" for anything except the inevitability of something happening. I'm glad I participated, even when the comments were less than kind (it's amazing what people will say when they can remain anonymous). The only one that ever got to me, which I still think of today, was the one which said I should give my daughter up for adoption because I would be such a horrible parent. Now that I am a parent, I think about that comment often, knowing I could never give up Revie's pretty face. Mostly, I think of it because I feel bad that my child will have to encounter people like that person, who will be cold and outright mean to her. I feel like the protective mother I always knew I would be — and at least the fact that those comments brought that out in me feels wonderful. Would He Ask A Married Woman The Same Question? The biggest surprise from participating in the Baby Project is the impact it has had on my relationship with my family. I come from an extensive (mostly) Filipino family that not only includes uncles, aunts and cousins, but also second cousins, old family friends, godparents — including several people who have known me since I was a baby myself. And although most of my family lives in Southern California, I have kept myself at a distance from most of them, never really talking about my personal life. I think no matter how loved one feels by their family, the fear of rejection can be gripping, even paralyzing. In any case, writing about my pregnancy for a national audience has made me face that fear. Maybe I assumed that no one in my family would read the NPR blog. Boy, was I wrong. Several family members read it, asked me questions about details in the posts, brought up comments posted by other readers, downloaded photos from my posts, recommended my posts on Facebook. Overall, they love the blog, and they love me and Charlyne and Max. What a wonderful, giant leap forward for me, and one that I needed to do not only for myself, but especially for Max. Babymoons, Bikinis And Baby's Last Name: To Hyphenate Or Not? The response to my writing on the blog has given me a much needed lift in craft confidence. Since a stint tutoring kids in Harlem for the verbal section of the SAT, I've wanted to teach writing workshops for children and adults who tell themselves they can't write well. I suspected my own struggles with finding the right words would make me an empathetic teacher and tutor, but without an advanced degree or published works, I didn't think anyone would take my classes (thanks writing MFA adviser who told me to find another career). The idea of helping others find words for their feelings thrills me, and after reading the many positive comments on the blog, I look forward to turning my intention into an actuality. I'm a bit melancholy over the project coming to a close just as Dalia and I settle into a routine that will allow me to write more. But I will continue to rant, rave and wonder on my personal blog. Loriani was the first Baby Project blogger to give us a scare. When the project began, the 31-year-old Californian's unborn child had been diagnosed with a potentially deadly illness, Mosaic Trisomy 16. Little did she know then that her own life would be the one at risk. Loriani told her story uncensored, from a pregnancy filled with unpleasant side effects and a terrifying delivery, to life in the neonatal intensive care unit, and the bitter feelings of inadequacy in not being able to breast-feed. What a ride this has been. I found out about the Baby Project when my godmother Elina texted me, telling me NPR was looking for pregnant women due in late July to blog on their website. 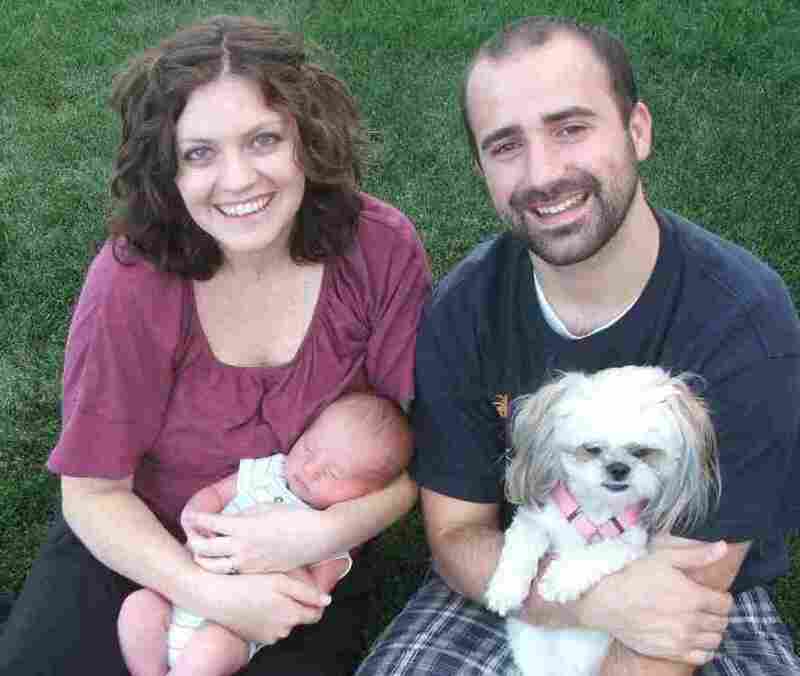 I applied because Matt and I wanted to share our experience with a not-so-perfect pregnancy. We knew we were taking a risk, in that no one knew how Mosaic Trisomy 16 would affect our baby or if she would even survive. Matt worried about sharing the diagnosis with the world, but we went ahead and took our chances. Never did we expect it would be me who almost did not survive. What we did suspect was that our "Cupcake" would be fine. She surpassed our expectations by being, in every way, the perfect baby. Writing this blog helped me get through the most difficult yet most rewarding moment in my life. I remember writing the birth story not so long ago and feeling physically ill. My head hurt because it was hard to remember any details, and I wasn't really sure if I wanted to remember. I found myself more afraid than ever of my own mortality. 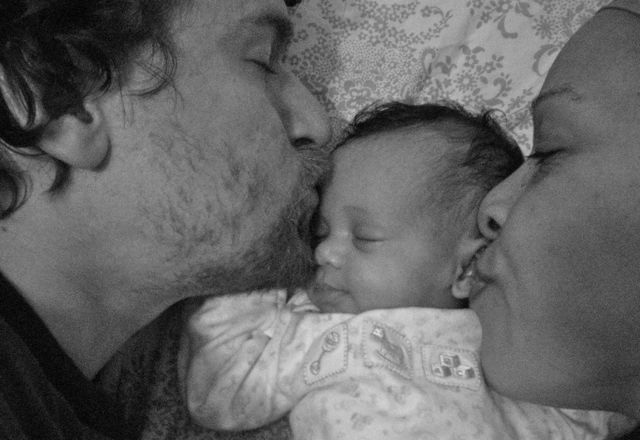 Elina passed away unexpectedly Sunday July 31, at the age of 40. She was one of the most selfless and kind people I knew, and I can only hope Valentina will have some of her qualities. It seems fitting she was the one who told me about this project, because I really don't think I would have mentally recovered as quickly and peacefully without it. It's as if she left me one last gift. And so I dedicate all my posts to my godmother Elina, who lived to help others and never stopped making us laugh. After reading any post from Lucy, you pretty much felt like you knew her. The 27-year-old office manager from Logan, Utah, wrote often about being worried about money. She was grateful, she said, for government assistance like Medicaid and WIC that helped her and her husband afford a baby. 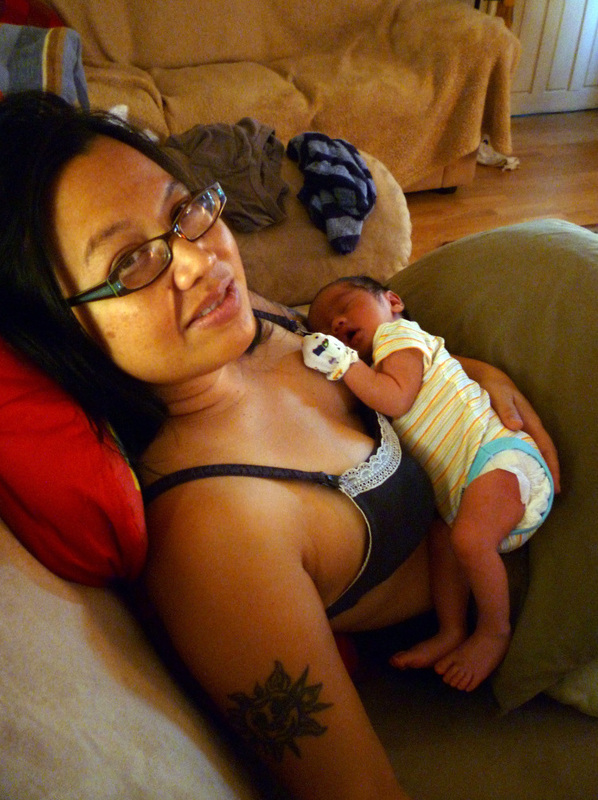 And she raised one of the most controversial topics — whether or not to circumcise her son. 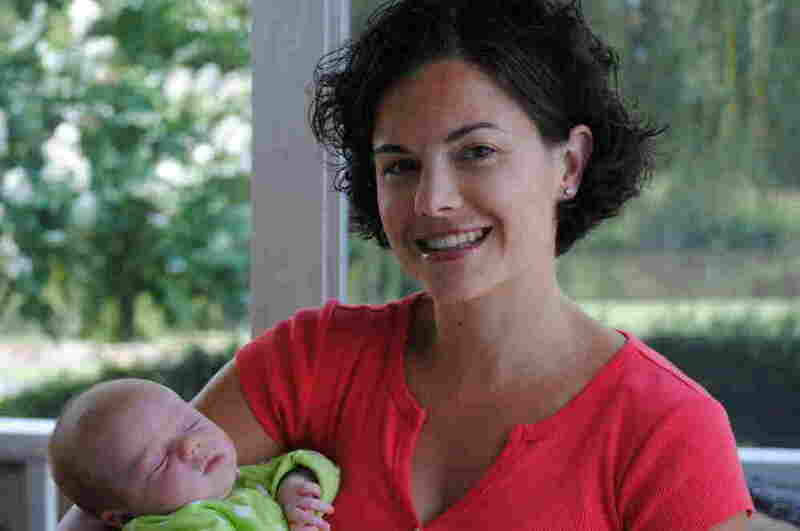 While she hoped for a drug-free birth, it didn't go as planned. But in her first days with her son, she described wanting to smother him with kisses: "Every time I try to sing any song to him, the words take on new meaning because of him, and I start to cry. I love this boy so much that even 'Twinkle, Twinkle, Little Star' can't make it past my lips. And so I hum instead." It's been so fun to write for the Baby Project this summer. I must admit, I kept writing posts for a completely selfish reason — your comments. They were the highlight of my week, and so uplifting. You all had so many great ideas and great advice, it was like having a bunch of experienced friends sharing all their knowledge. I really appreciate it all — thank you so much. I feel like I've been through so much with the other moms, it's like I'm saying goodbye to good friends. So, best of luck with your new little ones Sarah, Lateefah, Jolivette, Christy, Emily, Andrea, Ashley and Loriani! It's been a blast following your stories this summer. Here's to success in raising our children! ... I've learned something from every woman on this blog, as well as those who have taken the time to leave comments. I read every single comment on my colic post and tried most of the suggestions (which is just about the time I learned Lesson Numero Uno). Will I Be Able To Teach My Child Right From Wrong?